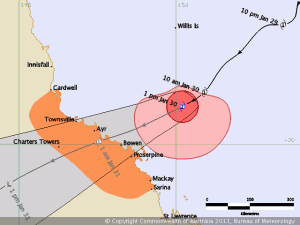 The coast-crossing point is a little further south than first thought but current predictions are also showing that it may well only be Cat 1 when it crosses. 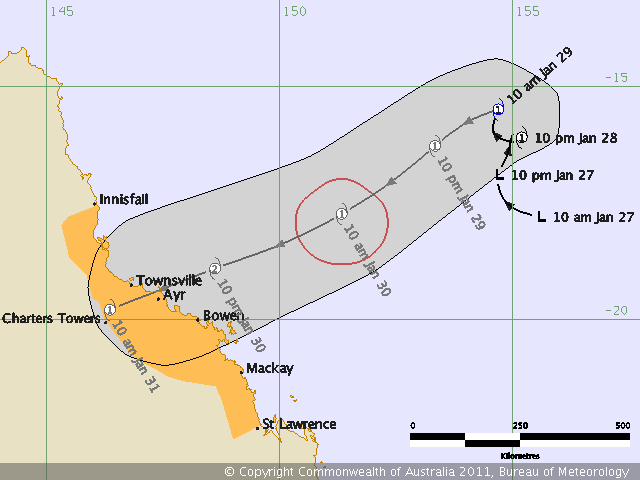 Many thanks to BoM for the track map images. 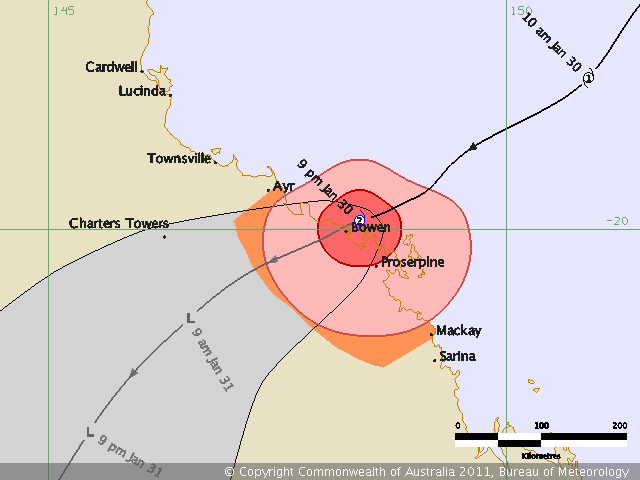 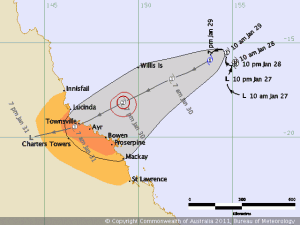 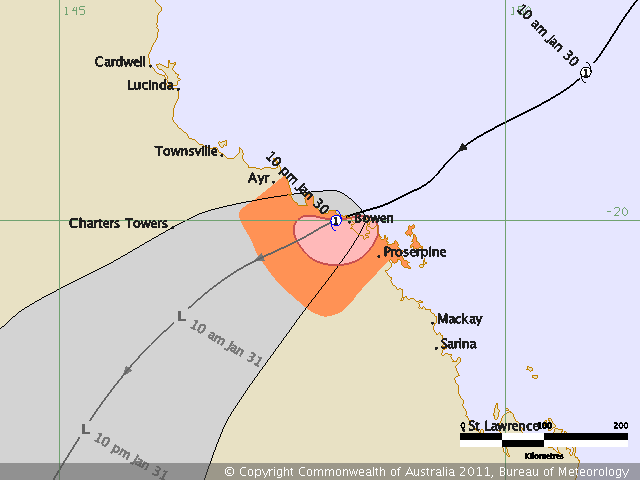 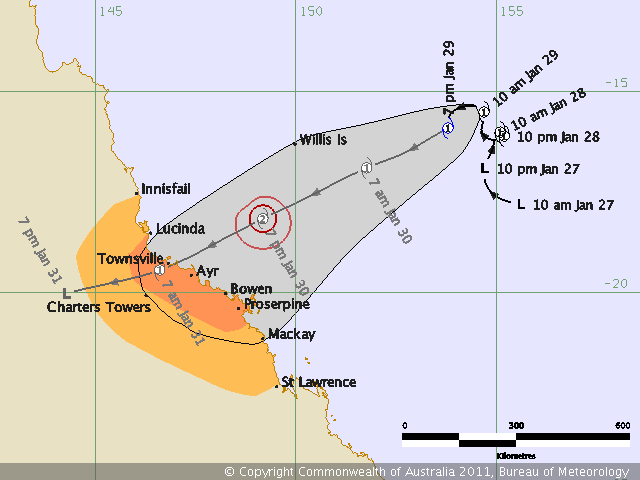 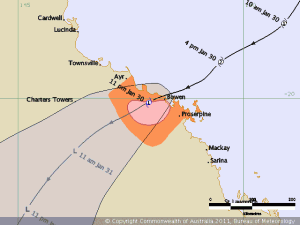 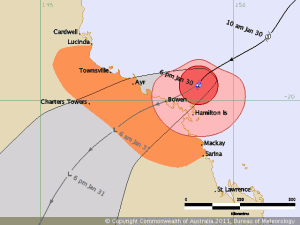 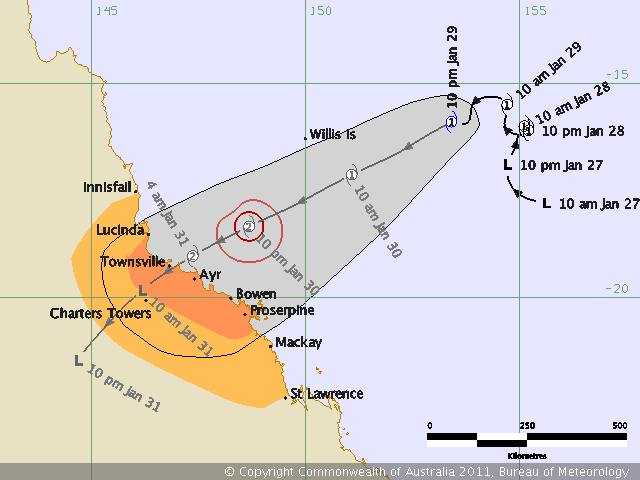 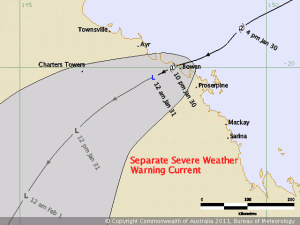 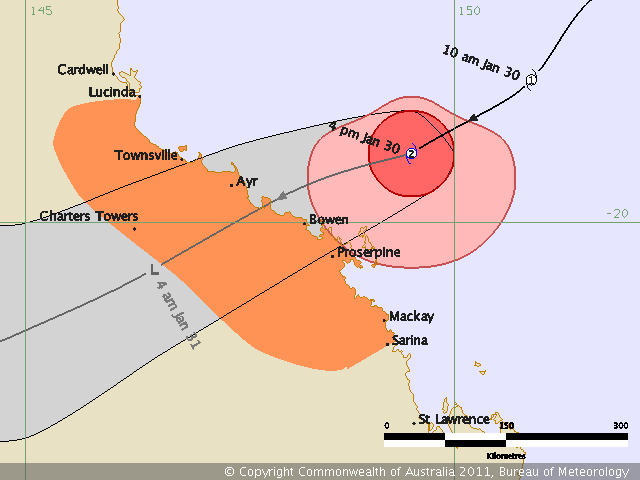 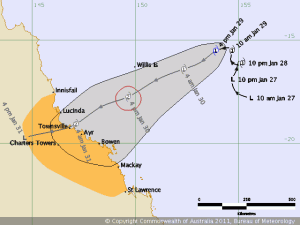 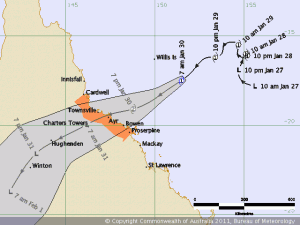 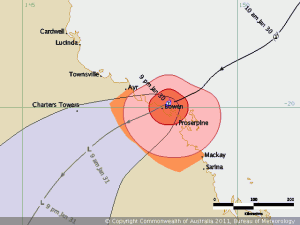 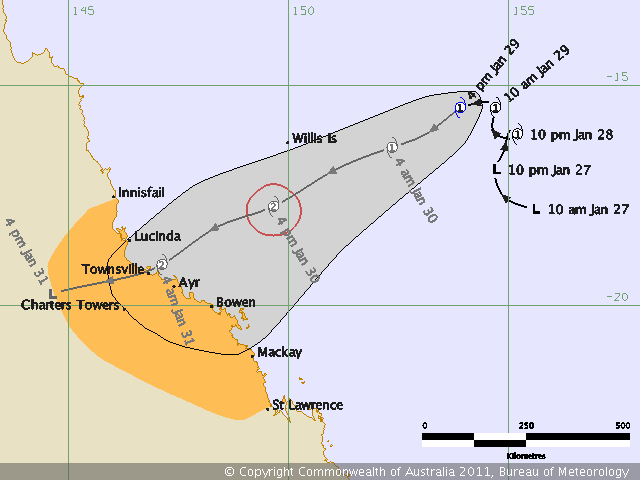 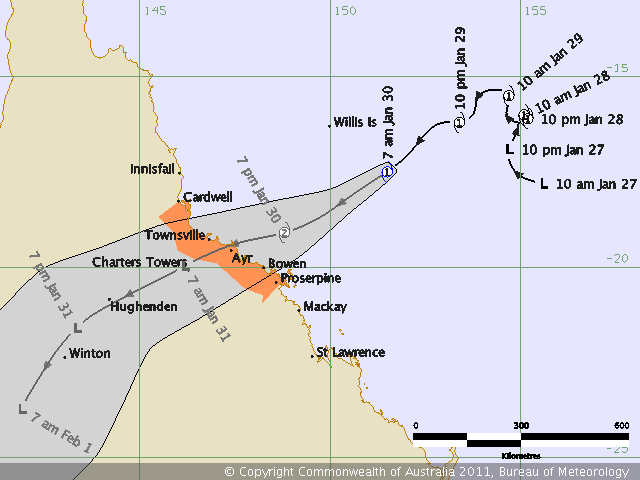 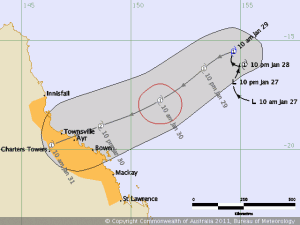 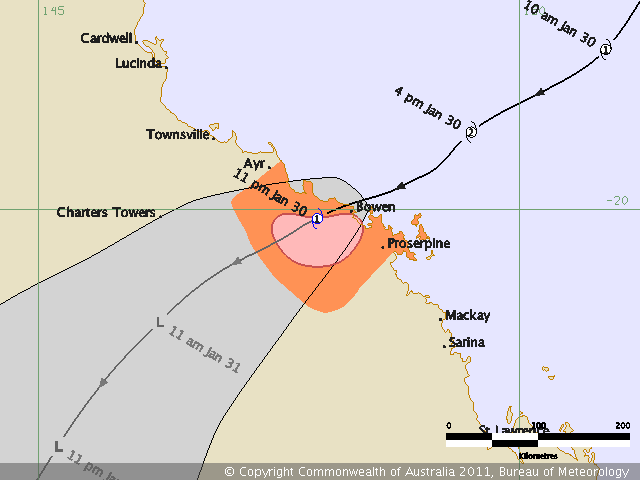 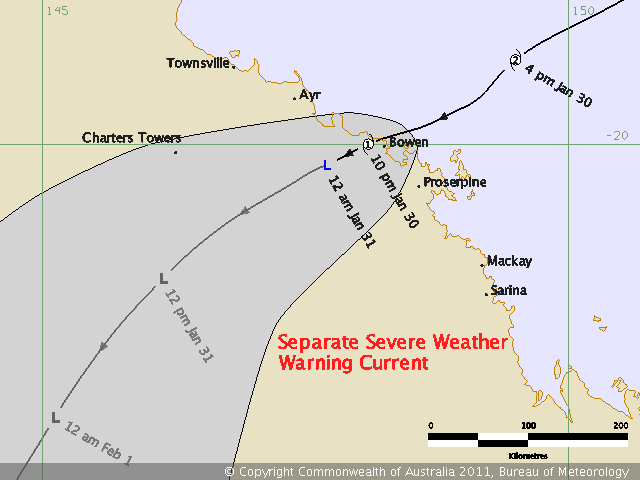 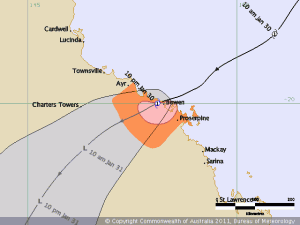 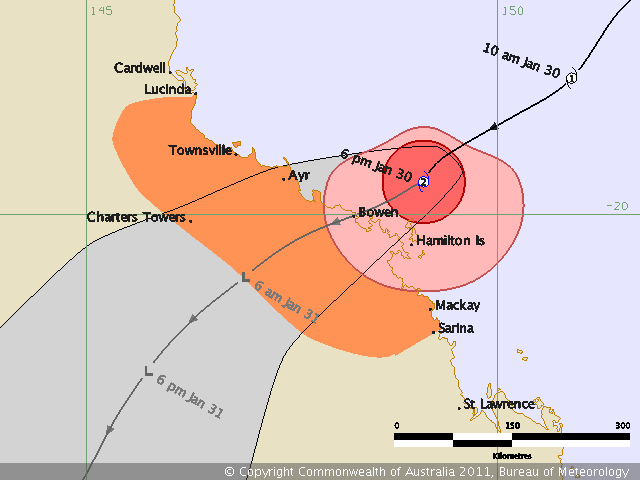 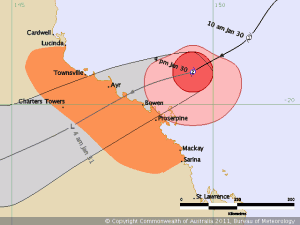 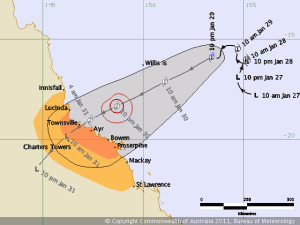 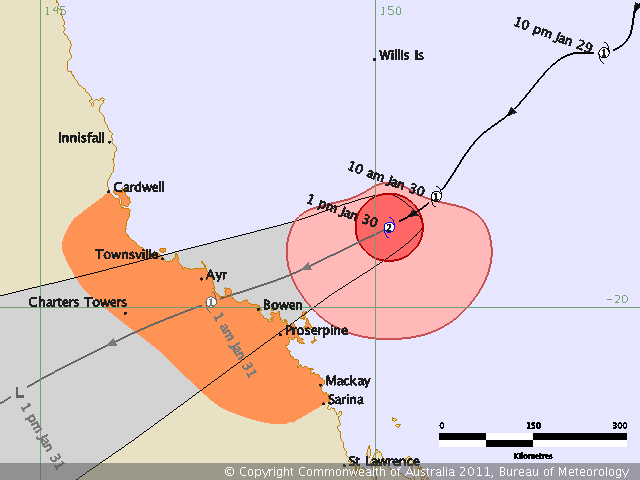 This entry was posted in Weather and tagged australia, cyclone, cyclone anthony, cyclone season, far north queensland, fnq, Weather on 2011-01-30 by pete.